April showers bring May flowers, but in this case they also bring an April Showers Cocktail with edible flowers for garnish. 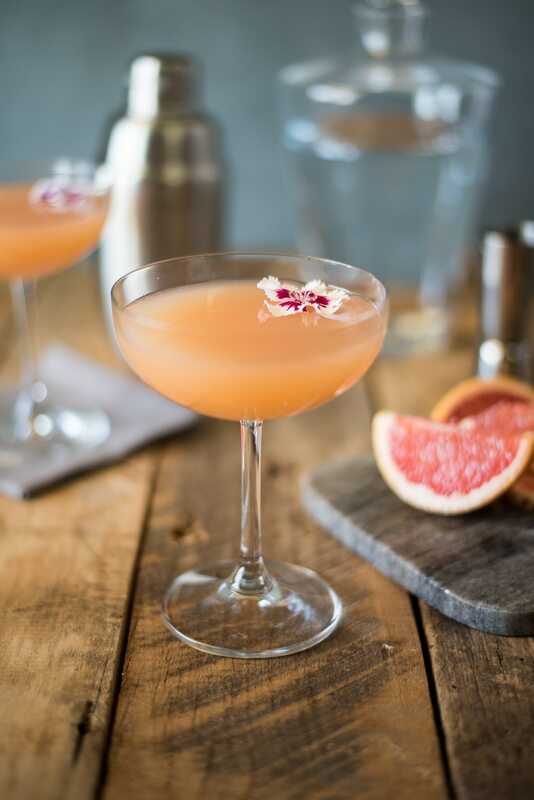 Gin, fresh lemon juice, agave pink grapefruit juice are perfectly blended to make this the perfect springtime drink. The perfect balance of tart and sweet, this April showers cocktail is one of those drinks where you take a sip and say “Wow, I don’t even taste the alcohol”. Both good and not so good, if you know what I mean? This cocktail is a delicious balance of sweet and tart. If you like it sweeter, add a little more agave, if you like it more on the tart side, add a little more grapefruit juice. When it comes to your choice of glasses, you have choices. You don’t have to serve it in a martini or coupe glass, you can serve it over ice in a short glass. The flowers I garnished this drink with are dianthus. 100% edible flowers. No problem, use your favorite vodka instead. If you’ve tried this April Showers Cocktail or any other recipe on the blog then don’t forget to rate the recipe and let me know how it turned out in the comments below. I love to hear from my readers! Gin, fresh lemon juice and ruby red grapefruit juice make for this perfect springtime drink. Fill a cocktail shaker with ice. 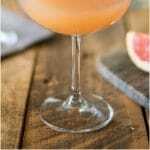 Add the gin, lemon juice, agave nectar and grapefruit juice, shake vigorously for 10 seconds. Pour into a coupe or martini glass. My this cocktail looks perfect for sitting on the deck on a spring day. Thanks for the post. We have been having April showers over here today, Janette, so this is the perfect post to read this evening! I love the sound of that grapefruit flavouring! Thank you Helen, we could do with some rain here in L.A.
Wow how did I miss such a beautiful cocktail? Looks so refreshing! What a lovely spring cocktail! And I adore the new look of your site…congrats Janette! Looks really pretty and sounds delicious. Love, love, love this! So pretty! Love the new look of the site, too! Congrats! I love edible flowers and this recipe is very delicious. I have never tried Heritage Gin before. This is a must try. Simply elegant! My kind of cocktail! Ooooh gin, one of my favorites. What a delicious color this has. Loving the drink! Love the name of your pretty cocktail! Need to be calling this April snow here in Chicago today. In any case, I will need this tonight. GORGEOUS, and I’m sure, delicious!! 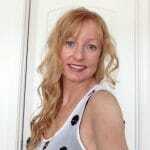 By the way, your blog looks fantastic, Janette! Well done! !